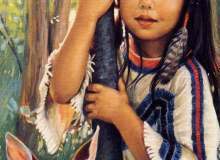 How Native American are you? Among the many tribes that lived in North and South America were a beautiful culture and a huge variety of languages. Europeans settled in the Americas and eventually tried to destroy these tribes but some still remain today. They call us Indians, Aborginals, and Native Americans, but I prefer just simply native. We are brothers and sisters no matter our blood quantum or our tribe. Take this quiz to find out if you like us! Would you wear a feathered headdress on Halloween? No, it’s disrespectful to my culture. Yes, it’s a great fashion. What is a feathered headress? Do not define native women’s beauty by European standards! What do you find most attractive about a woman? Have you lived on the Rez? Why would somebody be a vegetarian? Their husband is a bad hunter. They don’t like to eat meat. No, native Americans descovered Columbus. What do you do when you’re out of frybread? Get your girl to cook more. Should we replace Andrew Jackson with Sitting Bull on the 20 dollar bill? Pocahontas is a racial remark. How important is long hair to you? Have you ever been to a powwow? An Indian is an Indian regardless of the degree of Indian blood or which government card they do or do not possess. Blood quantum, the ultimate weapon of genocide which we use among ourselves. I try to use my or a native language everyday no matter how much I know. My ancestors will hear me. Yes but my ancestors won’t hear me. What does an Eagle feather mean to you? Do you have a dream catcher in your room? What do you do when you see a woman wearing a feathered headdress? Quiz topic: How Native American am I?